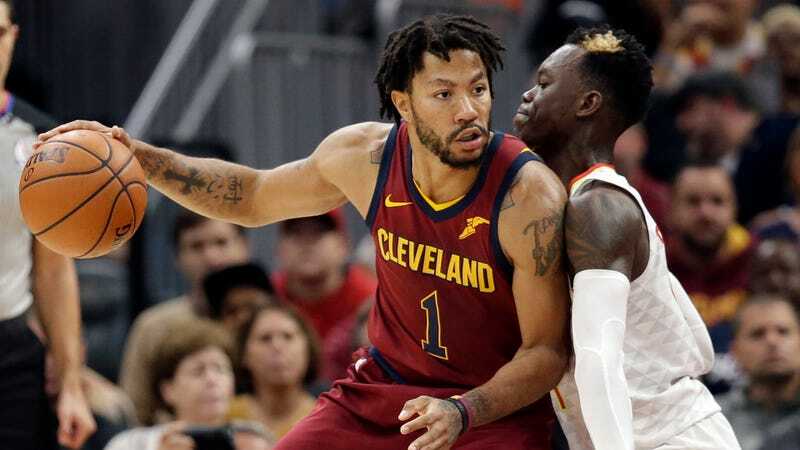 According to a report from ESPN, Cavaliers point guard Derrick Rose has taken a leave of absence from the team in order to re-evaluate his NBA future. Rose’s increasing frustration with injuries is causing him to consider his desire to continue playing in the league, sources said. Rose has played seven games for the Cavs this year, but has been out with an ankle injury since October 20. Since tearing his ACL in the 2012 playoffs, he has been plagued by injuries that have prevented him from playing more than 66 games in a season. When Rose was with the Knicks last season, he went missing on a game day and was fined by the Knicks. The Cavs told ESPN that this absence is excused and was communicated to the team.